We’re just starting week 4 of the Limerick Together for Yes campaign and it’s going great. We have canvasses 5 nights a week and stalls in town at the weekend. The people of Limerick have been warm and welcoming and open to our message. But there’s been an absence from the campaign. An absence of men. Here’s a photo from one of our canvasses in Limerick. Only one man, and he travelled in from Clare that night (you’re a legend Ronan!). We urgently need to correct this gender imbalance. Although we’re campaigning for a woman’s right to choose, we shouldn’t just leave it to women to make the ask to change the constitution. By standing with our sisters we can show our support and solidarity, and help knock on as many doors as possible to ensure safe healthcare for women who are pregnant. I’m running a men’s training session on Wednesday 11th April at 7pm in the Absolut Hotel with the legendary Paul Bowler from Kerry. Our goal is to ensure all men attending will feel more confident and prepared when engaging with members of the public/friends/family/partners in discussions about the campaign to repeal the 8th. To come along, just email repeallkvolunteer@gmail.com – and while you’re at it you can sign up as a volunteer on the Repeal LK website. 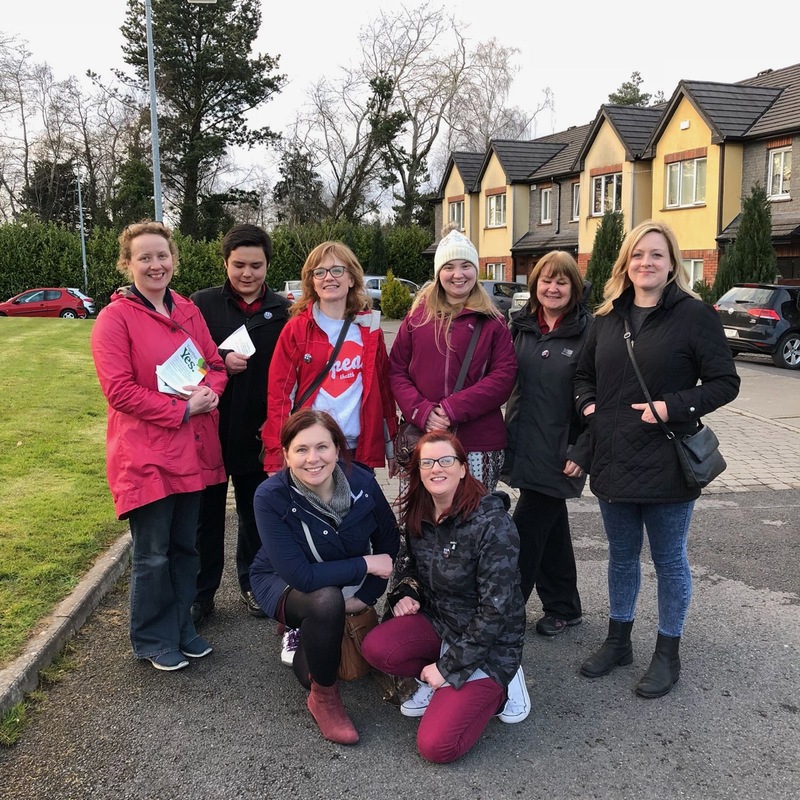 Women of Limerick are knocking on doors asking their fellow citizens for control over their own bodies. As men, the least we can do to help is to stand with them.